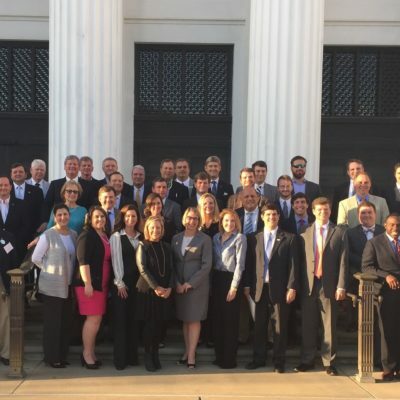 On March 8th, 2016, over forty five elected, business and community leaders from Coastal Alabama traveled to Montgomery, Alabama for meetings with our state officials and a legislative reception. 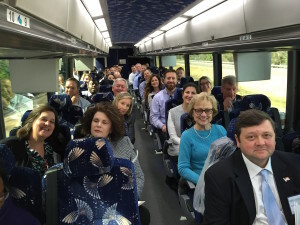 Coordinated by Coastal Alabama Partnership (CAP), it was the second time leadership from Mobile and Baldwin counties have traveled together to represent the region as a whole at the state capital. Those in attendance for the day included Mayor Dane Haygood of Daphne, Mayor Jim Staff of Atmore, Baldwin County Commissioner Tucker Dorsey, Baldwin County Commissioner Chris Elliott, Orange Beach City Councilman Jeff Boyd and Orange Beach City Councilman Jerry Johnson. During the day, the group meet with multiple state department and state elected officials. 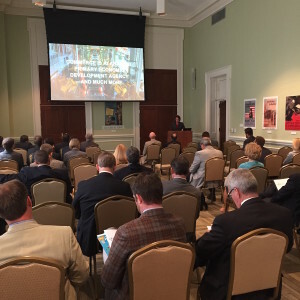 The speakers focused on their department’s activities and how they are addressing specific concerns in Coastal Alabama. Director Chris Blankenship (Alabama Department of Conservation and Natural Resources (ADCNR) Marine Resources Division) & Executive Chef Jim Smith (Alabama Governor’s Mansion) kicked off the day talking about the successes of the Alabama Seafood Marketing Commission (ASMC) and their continued effort to improve the seafood industry. 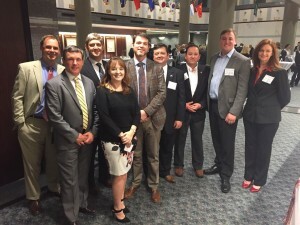 Mr. Blankenship said that one of things he is most proud of is how the ASMC has made connections among fishermen, processors, wholesalers, restaurants and consumers which greatly benefit the vitality of the industry. He encouraged the group to continue to buy and eat local Gulf seafood which drives the demand for those products and helps the local economy. Mark Gaines with Adams and Reese, LLP provided the group with useful insight into the Alabama Ethics Commission and gave suggestions on how to legally interact with state and local officials. Specifically, he recommended that each organization speak to a lawyer before undertaking any lobbying activity to make certain in does not validate the law. Deputy Secretary Angela Till spoke on the impact of the Alabama Commerce Department and their new focus on workforce development throughout the state. She said that the key ingredient in Alabama’s economic success is the workforce and that in 2015, the department’s program worked with 100 companies and trained over 85,000 Alabama employees. Deputy Secretary Till also mentioned the great success Mobile and Baldwin counties’ economic team had in 2015 with 956 new jobs and $743 million in new capital investment. In the afternoon, Director Patti Powell (ADCNR State Lands Division) gave an update on BP and RESTORE funding. She provided a brief overview of the different sources of funds and insight into the process for applying for and receiving funding. Due to its timeliness, Ms. Powell informed the group that the Natural Resource Damage Assessment (NRDA) Trustees have drafted the comprehensive restoration plan, it has been reviewed by the public and will be officially completed by spring 2016. She concluded her presentation by recommending that all project suggestions continue to be submitted to the Alabama portal online. 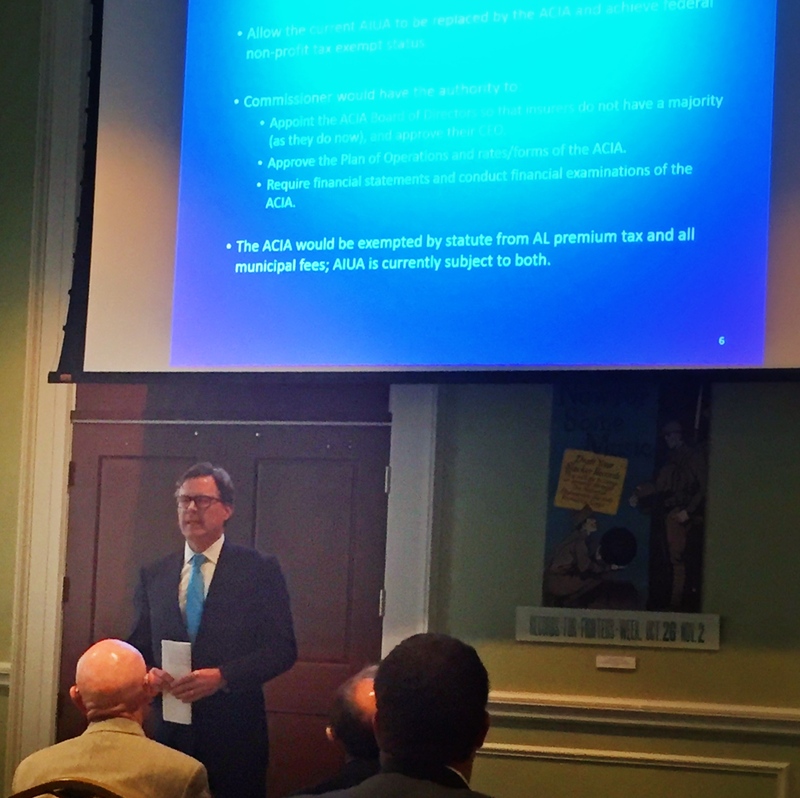 Transitioning to insurance issues in the state, both State Senator Bill Hightower and Deputy Commissioner of Insurance Charles Angell spoke to the group about the proposed Alabama Coastal Insurance Authority (ACIA) legislation. This legislation was developed by the Coastal Insurance Working Group with the goal of providing “coastal homeowners with equal or better wind coverage at more affordable rates. This legislation would allow the Alabama Insurance Underwriting Association (AIUA; also called the “Wind Pool”) to achieve federal non-profit tax exempt status and it would change the name of the organization to the Alabama Coastal Insurance Authority” (Learn more from this ACIA Bill Point Paper). The afternoon meetings concluded with a presentation by Alabama Department of Transportation (ALDOT) Director John Cooper. With only a $160 million budget a year, ALDOT has the difficult task of prioritizing and selecting only a few of the nearly 9 billion dollars’ worth of infrastructure projects that need to be done in Alabama. In addition, the fuel tax has not been raised since 1992, shrinking ALDOT’s purchasing power as inflation and fuel efficiencies increase. Mr. Cooper said that “I would like to just get back the purchasing power that we had, then we can talk about bold builds forward.” He reiterated the need to fundamentally readdress infrastructure throughout the country and wanted to leave the group with an understanding of the magnitude of the issue. 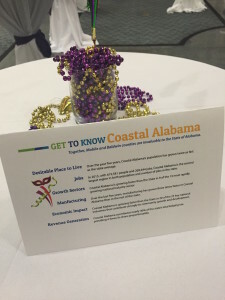 #1 in Manufacturing – Coastal Alabama is has grown 3 times faster than the rest of the State of Alabama in manufacturing over the past five years. #1 in Population growth – Coastal Alabama’s population is growing twice as fast as the state average. 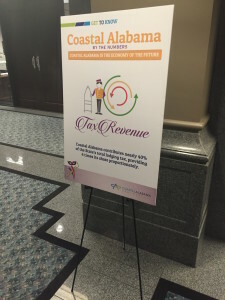 Coastal Alabama had 3.8% growth while the state had 1.7% growth over the past five years. Coastal Alabama is growing faster than the State in 9 of the 13 most rapidly growing national industry sectors. 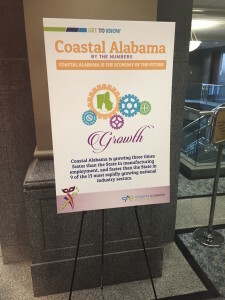 Coastal Alabama is growing faster than the State in 20 of the 25 key individual national industries that contribute strongly to community growth and development. 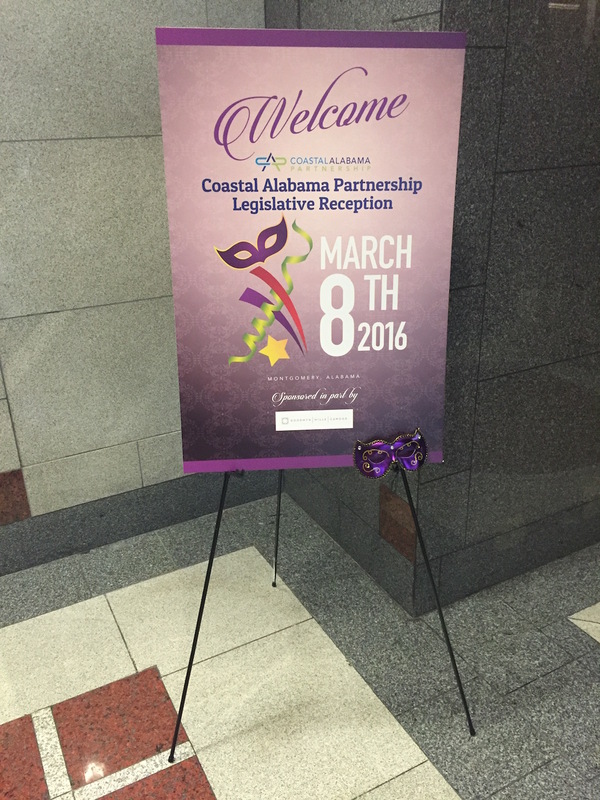 Click here for an entire list of Coastal Alabama’s impact regionally and nationally. This data is derived from CAP’s Regional Strategic Plan economic development component that is scheduled to be completed in June 2016. Please see our blog on our 2nd annual stakeholder meeting for more information on the planning project. “CAP has done a great job of bringing us all together, continuing to work for the region, all of us working together, a working committee to promote Coastal Alabama as a whole ” ~ Lynne Brown, Executive Director of South Mobile County Tourism Authority. 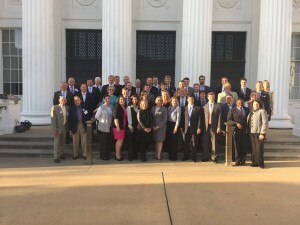 CAP would like to thank our elected officials and business leaders who traveled to Montgomery to show our work as a region and to those in state government who met with our group. It was a great opportunity to continue to build Coastal Alabama’s relationship with the state and highlight our region’s impact. We look forward to continuing to work with our local leadership on issues of concern in our area and supporting their efforts that impact our region and state.